During this time we are only available for emergency support (i.e. you have a critical problem with a production system). 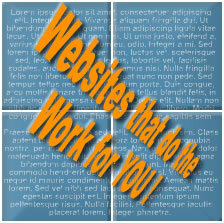 Complete Web Services - Website Design Services, Our name says it all ! We specialise in website designs that help your business by automating your business processes so your website can do the work for you. Please give us a call (02 9868 2595) so we can talk about your needs. You will find that we go out of our way to help you before and after you have paid us. You'll receive courteous, personalised service. We required a website that allowed our customers the opportunity to purchase a number of our products online. The product that Complete Web Services developed is a very exciting technology that is second to none. We have been extremely happy with every aspect of what has been delivered. 'Paul has turned my ideas and words into a very professional looking website, a website that rivals one prepared by a very large organisation - an opinion shared by others who have looked at my site. He is multi talented with skills not limited to web site design. Overall Paul has a “can do” approach.